No other video game company has the kind of name recognition and support that Nintendo enjoys among its fandom. Nintendo as a brand has the kind of saturation and recognition that seems reserved for major corporations like Coca-Cola and Disney. Name a kid who didn't grow up with at least a passing awareness of Mario and Zelda games. You can't, because those people don't exist. 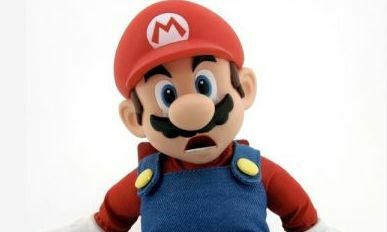 Sure, there are folks in this world who swear that they don't like Mario, but they know who Mario is. They know the mushrooms, the Koopas, they know what a 1-up is. It's in our collective DNA. But with all that goodwill, now over thirty years strong, Nintendo seems to regard their fans with either apathy or spite. 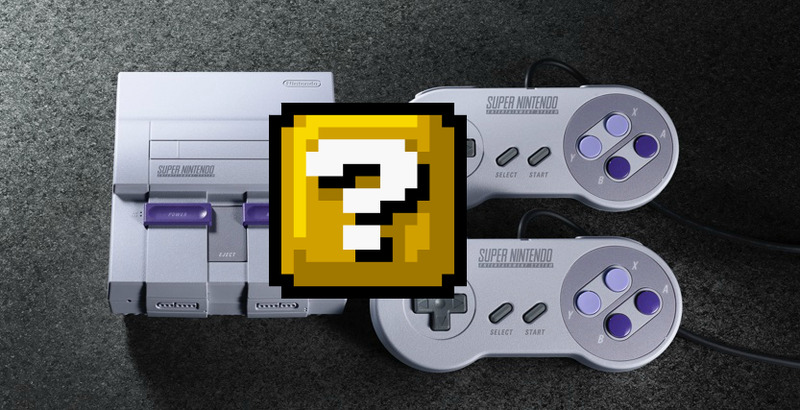 The video game world is buzzing about the announcement of a Super Nintendo Mini, or SNES Classic, which is the follow up to last year's NES Classic Edition. You may remember seeing the NES Classic on the front page of every online news site on the internet in late 2016. Its existence (or the promise of its existence) was a dream come true for '80s kids who grew up with the gray "toaster" NES and spent hours with Mega Man and waging war with the Contra series. With 30 built in games, plug-and-play functionality that slotted directly into a modern television via HDMI, and the low retail price of under 60 bucks, it seemed like a no brainer, something that would be almost impossible to screw up. Here are some facts. 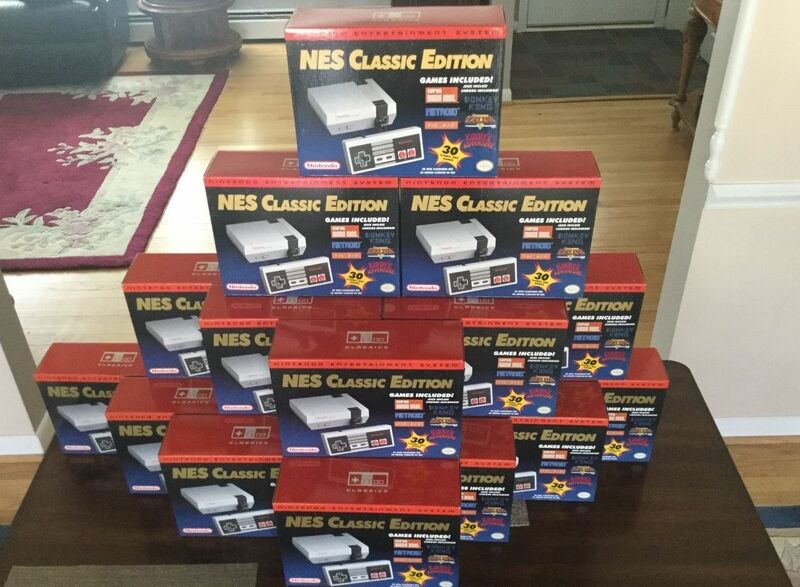 Nintendo produced the NES Classic Edition for a total of five months. In that time, it sold over two million units. However, there were problems from day one. First, the system was massively under-produced and impossible to purchase. On launch day, I planned my schedule around the release of the system and was on Amazon at the exact time of launch. This was because Amazon had sent me an e-mail stating that I needed to be near my computer at such-and-such time on such-and-such date in order to secure one and that supply would be low. There were rules. I followed them. Apparently, about 40 million other people did the exact same thing, because the demand for the system literally crashed Amazon. I sat there refreshing for 2 hours, but I never got what I came for. The comments section for the product page made it clear: virtually no one got the system. There just weren't enough to go around. 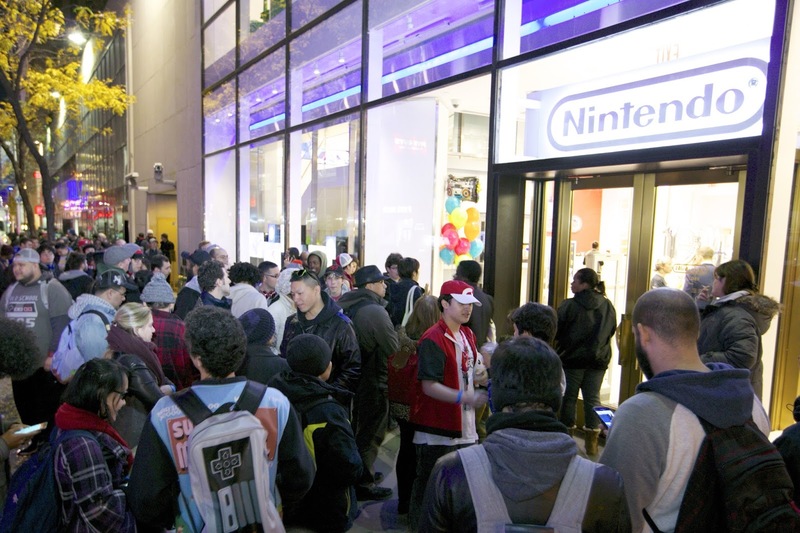 Even those who visited retailers like Walmart and Target at midnight for the release didn't fare much better. There were reports all over America of stores only getting a very small number of the system, and dozens (or more) of customers going home empty handed after standing in line for hours. 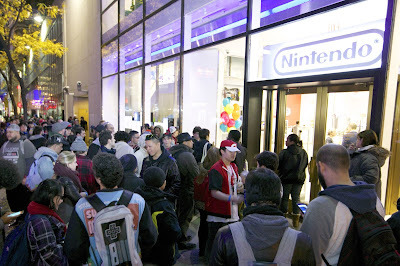 Later, scalpers turned out in droves, buying up entire stock shipments to resell on Ebay at 100 percent markup. Reports of insider purchasing were not uncommon, with some retailers selling units to employees before they could even hit the floor. It was the "Tickle Me Elmo" fiasco of 1996 revisited twenty years later. It was Jingle All the Way come to life with no happy ending for most of us. Yet, through all this, Nintendo shrugged their shoulders and released statements about how they were working as hard as they could to get the product onto shelves and that they didn't have the resources to manufacture them on the scale that the demand dictated. Guess what? If you can't estimate the demand on something like the NES Classic, you're out of touch with your consumer base. Furthermore, if you SEE that you aren't producing enough supply to meet the demand and you decide to discontinue production after a mere five months, you probably shouldn't be in business at all. Apparently Nintendo doesn't need to make money? They just drum up interest in something new, sell a few of them, and then say "Alright, that's enough. We're good." That's not how The Force business works. When Nintendo ultimately decided to pull the plug on the NES Classic (with millions of people still trying to buy one), they took what I perceive as a very glib stance, stating that they were focusing on the future, not the past, and that they never planned for the NES Classic to be anything more than a neat little collectible. I can't even. I have a business. If a client/customer calls my business for a service, I meet the request. If you're a business and someone wants your product, it is commercial suicide to turn them away. If you don't have the manpower or resources to meet the demand of your clientele, you either need to beef up those resources, or prepare yourself for someone else to service your customers. Some game fans and insiders speculate that this was all an intentional ploy by Nintendo to create brand awareness for their classic games, then to create a shortage for those games. With their new system, the Nintendo Switch, promised just a few months after the release of the NES Classic, it stands to reason that Nintendo would rather customers buy those games at five dollars a pop on their Virtual Console (Nintendo's online game library) than get 30 games for 60 bucks. And with 246 NES games on their Virtual Console, there's a lot more money to be gained by drumming up forced scarcity. However, this theory implies that the same people who are buying the NES Classic are the same people who are buying new Nintendo consoles, which I think is incorrect. NES Classic had mainstream appeal across all ages, while new Nintendo consoles are going to appeal to a dedicated gamer audience. Plus, who wouldn't think that a 60-dollar retro collectible featuring over two-dozen of Nintendo's best games would have a ton of demand? Well, I guess Nintendo wouldn't. So now the NES Classic Edition is no longer in production. I never ONCE saw a unit on retail shelves ANYWHERE. I only know of one person who was able to find one. The ridiculous scalper eBay prices from earlier in 2017 have given way to even higher prices, as many douche bags somehow found stock of them before the end of production and now have stacks of the things by the dozen, which they are selling for upwards of THREE HUNDRED DOLLARS. That's not an inflated number. You cannot buy an NES Classic for under two hundred dollars, anywhere. And all because the demand far exceeds the supply. How many people were fired because of this at Nintendo? Not enough. On March 3rd, the Nintendo Switch launched with just a few games. More facts: the biggest game completed at launch, and the one that Nintendo was banking on to sell their system, was The Legend of Zelda: Breath of the Wild. Most of the other games, including ones featuring their icon Mario, weren't ready, and weren't going to be ready until "later" in 2017. Putting aside that Nintendo should have held back the release of the Switch until the holiday season of 2017 when they would actually have games to play and could focus on the demand that fans still had for the NES Classic, there were other problems. Guess what? It's hard to find a Nintendo Switch! I'm writing this at the end of June. I've yet to see a Switch at Target, Walmart, or Best Buy. Amazon has no stock, either, only third party sellers with ridiculously-inflated prices. HERE WE GO AGAIN. So now, just months after the release of the Nintendo Switch, Nintendo has announced the SUPER NES Classic Edition, which is the Super Nintendo version of their plug and play system from last year. It's coming in September, with 20 classic Super Nintendo games and one game that never saw a release, Star Fox 2! Sounds great, but it's hard to get excited when I doubt I'll ever be able to find one. While they've already said up-front that they will be making "significantly more" of these than the NES Classic, but then said that THEY CANNOT GUARANTEE PRODUCTION PAST 2017. So they're going to make more of them, but they're quitting production at the end of the year? How is this any better?Apparently, we've learned nothing. Also, I have some burning questions. I thought Nintendo was focusing on the future and not the past. Isn't that what they said? That's why they're putting all their attention and manpower into the Switch, right? I guess they found enough resources to crank another one of these out so they can give a few of their executives a bonus this holiday season. This all makes me sick. If these business decisions are legitimate, then heads should roll because they're putting an insanely-bad taste in the mouths of their fan base. If these decisions are tactics to raise brand awareness, then that's almost worse because brand awareness with no product availability is meaningless. It's also dangerous for Nintendo. There are tons of emulators out there, and the ROMs for these games are floating around on the internet all the time, and cost NOTHING. Nintendo has literally made it almost impossible for the casual fan to support their products. If the average Joe who wants to show these games to his kid or wants to relive his own childhood can't find one of these Classic editions, is he more likely to A) buy a Nintendo Switch and download every game he remembers from the Nintendo Shop for 5 dollars each, or B) just download them all onto his computer for free? I think the answer is obvious. I'm not advocating piracy, but if you want to combat it, you need to have a viable legal solution. a three-hundred-dollar console and five-dollar downloads is not that solution. If my entire company's game library was just a Google search away, I'd fill the market with as many legitimate ways to play them as possible. It's not too late for Nintendo to fix this. The first thing they need to do is to bump up their production. They launched the Nintendo Switch in MARCH. That's not a holiday season. Current demand for the system right now is nowhere near the level of demand that is going to be coming later in the year when the holidays are approaching and Super Mario Odyssey launches. It's hard enough to find a Switch now (the reports that everyone who wanted a Switch currently has a Switch are false), so you're telling me my chances are going to be better in November when EVERYONE is looking for one? I doubt it, Nintendo. Also, Nintendo needs to go back into production of the NES Classic. I suppose they could do it after they've finished their run of the SNES Classic, and those limited number of people that Nintendo has working on that release (should we be concerned that Nintendo can't afford to hire more employees to meet demand?) can SWITCH (ha ha) to making more of the original console that everyone wanted and couldn't find. It's not too late, but time is running out. If Nintendo can actually get their product in the hands of people who want it, they'll be a hero. So many of us WANT to love Nintendo with the same passion that we did when we were kids. Everyone grew up with a Nintendo system. For some, it was the original, or the Super Nintendo. Some people grew up with the Nintendo 64. Still others grew up with the Gamecube or the Wii. Your fans still WANT to love you, Nintendo. Unfortunately, if things don't turn around pretty soon, there might not be many fans left. Yeah man, I completely agree with your opinion, very good article! By the way I am a big fun of gaming, and most of the time play using snes emulator https://romsmania.com/emulators/super-nintendo from this helpful service, it works very well and without any problems.